FB investors should realize that it's the parents, not their kids, who matter to advertisers. Last week, internet advertising news site eMarketer shared what bodes well for Snapchat parent Snap Inc (NYSE:SNAP), and could be alarming for Facebook Inc (NASDAQ:FB) shareholders. That is, teens are less and less interested in Facebook, preferring to use Snapchat and Instagram to communicate with their peers. FB stock lost almost 2% in the following days. However, it’s not news that spells doom for FB stock, if for no other reason than Instagram is owned by the aforementioned Facebook — CEO Mark Zuckerberg has successfully cast a net that’s caught the teen segment of the internet market, too. Still, if teens (and tweens, and some millennials to boot) are becoming increasingly comfortable with Snapchat, might Facebook be foregoing a key revenue opportunity? Probably not. See, while teens account for a decent-sized portion of internet users, they don’t directly account for a proportional amount of e-commerce business up for grabs. Here’s the data, according to eMarketer: After losing 1.2% of 12 to 17-year-old monthly active users (MAUs) last year, Facebook is on pace to lose 3.4% of that group’s MAUs this year. Worse, the kids in that group who are still regular users are spending less time on Facebook than they have in the past. Indeed, eMarketer expects Snapchat to boast more users in the 12-17 age group as well as in the 18-24 year old group before the year is over. FB stock holders take (lots of) solace in the fact that almost everything Snapchat has done to make its app stickier, Zuckerberg has copied and applied to Instagram to make it the more compelling choice of the two. That’s not even the part of the shift that should ease Facebook investors’ minds though. To be fair, teens and millenials are more apt to spend their money on digital downloads like music and apps, playing right into Snapchat’s hand. They’re not shelling out money online hand-over-fist, though. A recent look at teen’s spending habits determined that 75% of teenagers would rather have a new pair of shoes than download 50 songs. And, not surprisingly in light of the prioritization of shoes, teens spend the bulk of their personal, disposable income on clothing and food. Granted, they’re still a respectable demographic, with the average 13-year old earning roughly $2,700 per year, while the average 16-year-old brings home just under $5000. In terms of total spending power though, adults still simply have considerably more, leaving too many teen-oriented retailers and e-commerce players fighting for what amount to too few scraps. As it turns out, most of the money spent on and for teens is spent by their parents, who respond to different ads for different reasons. That’s not to suggest those advertisers taking aim at the more affluent 25+ crowd aren’t also butting heads with one another. But, with the 25-55 crowd not only being bigger but also far more able to spend online and offline — the average household income in the U.S. is just under $56,000 per year — which leaves behind more disposable income than the average teen has. 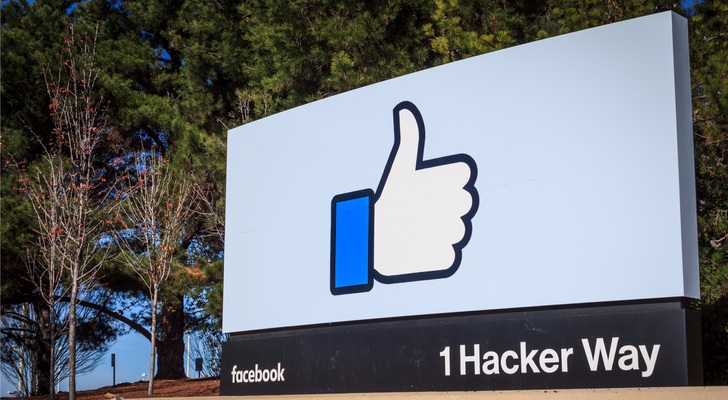 Facebook is simply catering to a market that bears much more fruit. The proof of the pudding: The amount of money Facebook collects for each click on a teen-targeted ad is the lowest among all of its age groups it counts as users. As far as Zuckerberg is concerned, Snapchat can have ’em. That’s not to suggest Facebook is infallible. At some point those kids currently between the ages of 12 and 24 will be the young adults between the ages of 25 and 35, earning more, and looking to spend a sizable chunk of their disposable income at the venue that best attracted their attention. Though Instagram is beating Snapchat at its own game, it’s still struggling like Snapchat is to monetize all that traffic. With years ahead to figure out how to migrate users from the less-potent Instagram to a more fruitful Facebook platform though (a platform Snapchat clearly doesn’t have), there’s not a reason to worry. Facebook has time and deep pockets. Snapchat doesn’t. In other words, of all the reasons to worry about FB stock, this isn’t one of them. As of this writing, James Brumley did not hold a position in any of the aforementioned securities. You can follow him on Twitter at @jbrumley. 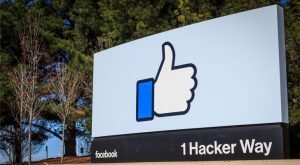 Article printed from InvestorPlace Media, https://investorplace.com/2017/09/dont-sell-facebook-inc-fb-stock-just-because-its-losing-the-teen-crowd/.